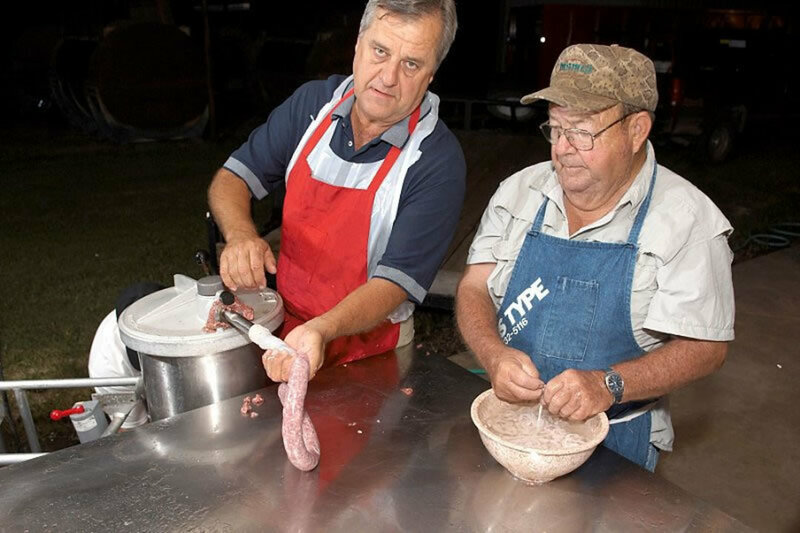 Like Fredericksburg and New Braunfels, its more famous fellow sausage-making Texas towns, Castroville is one of Texas's strongest living links (get it?) to the Old World. Land empresario Henri de Castro, a French-born Sephardic Jew of Portuguese ancestry, founded the town in 1844 and stocked it with immigrants from Alsace-Lorraine, a sort of mini-Swtizerland of cultures on the French / German / Swiss border. At various times in their history, the people there have spoken a form of French-influenced German or German-influenced French, as is the case today. And you just might here some of that language in the historic streets of Castroville today, as some of the older folks still speak a form of 19th-century Alsatian. The entire town of 2,700 people has been placed on the National Register of Historic Places, thanks especially to its slope-roofed, timbered edifices and ivy-covered stone bungalows and St. Louis Church, one of the loveliest in the state. Anyway, Castroville is celebrating its patron saint (St. Louis IX, also a French king) with a weekend-long fest in pecan-shaded Koenig Park near the Medina River. The party starts on Saturday, August 24, a.k.a Sarge’s St. Louie Red Hot Night, in the biergarten with an Alsatian singalong to the strains of Davy Suehs and the St. Louis Day Band, followed by two more contemporary Texas country bands in Brandon Mann and Monte Tschirhart preceding the Haywire Ranch Band. A boardwalk and flea market will accommodate those who want to shop or play kid-friendly games. Organizers say that parishioners rise at 4 a.m. on Saturday to prepare the tons of Alsatian sausage consumed by the 10,000 annual visitors. A mere $7 gets you a “piled high” two-meat BBQ plate of mesquite-smoked brisket and Alsatian sausage accompanied by a tasty St. Louis Day sauce, Castroville's famous homemade potato salad, cole slaw with "St. Louis Day dressing," bacon-seasoned pinto beans, and bread from Haby's, the town's venerable Alsatian bakery. Parishioners bake up a plethora of cookies, pastries, cakes and pies for dessert. The event kicks into high gear on Sunday with three stages of dancers and bands ranging form mariachi to German. 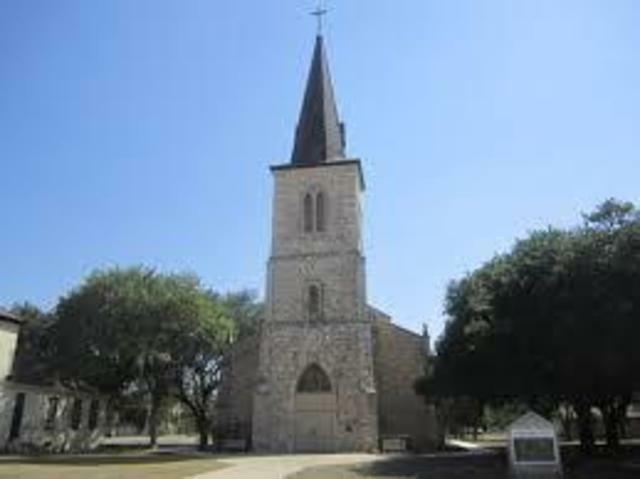 For bed and breakfast or other accommodations call the Castroville Chamber of Commerce at 830-538-3142.